King David loved God, and he wrote many psalms or songs about his love for God. The Israelites collected the songs David and other people wrote and put them in the Bible in the Book of Psalms. David wrote psalms when he was happy and thankful to God. David sang, “Yahweh, our Lord, how magnificent is Your name throughout the earth!” God had done great and powerful things, and God deserved to be praised. David also sang praises to God when he was sad or afraid. David also wrote songs to God when he was sorry for his sin. David wrote, “I sinned only against You. Give me a clean heart, God, and forgive me.” David understood that God didn’t just want sacrifices. God wanted David’s heart to change so he would not sin against God anymore. God forgave David, and David praised God. David also wrote songs to show how important it is to read and learn God’s Word. David thought about God’s Word all the time. He taught his son Solomon to love and follow God’s Word, too. 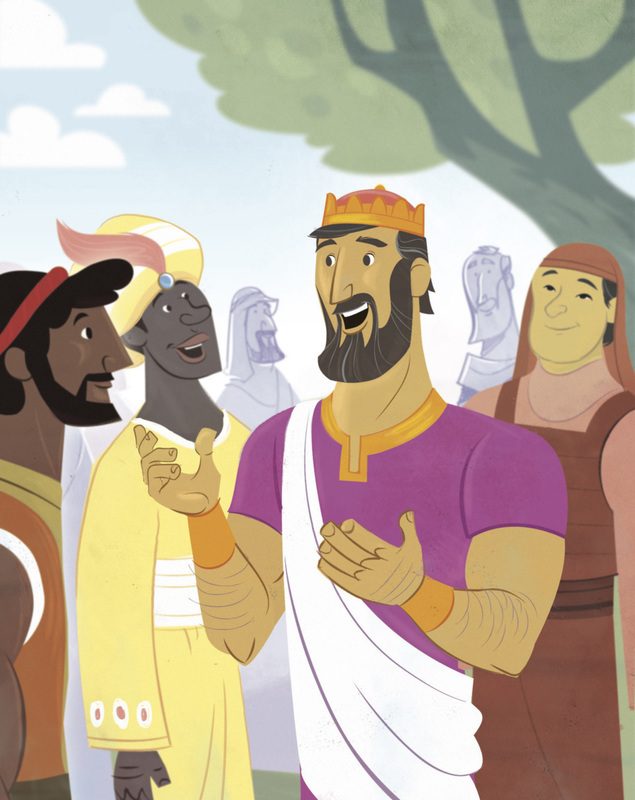 When Solomon became king, he asked God for help to lead the Israelites. 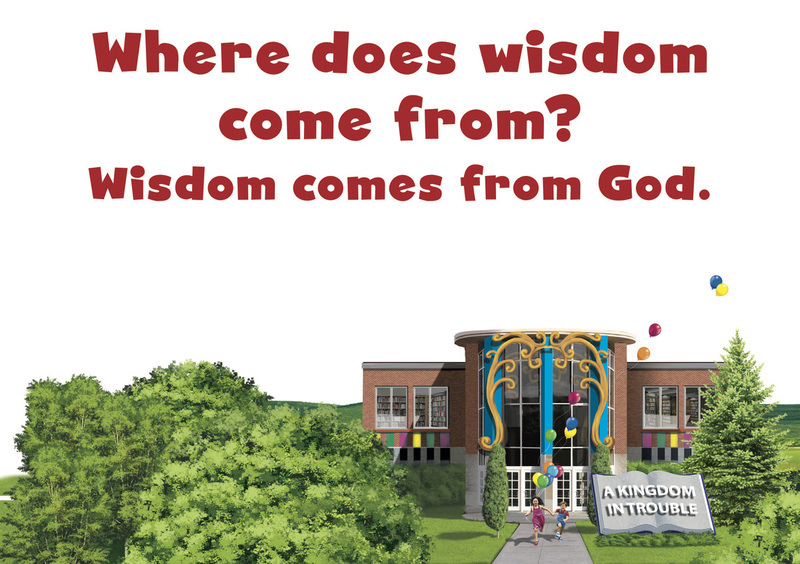 Solomon could have asked for riches or a long life, but he asked for wisdom. God was pleased, and He gave Solomon so much wisdom that everyone knew that God had blessed Solomon. 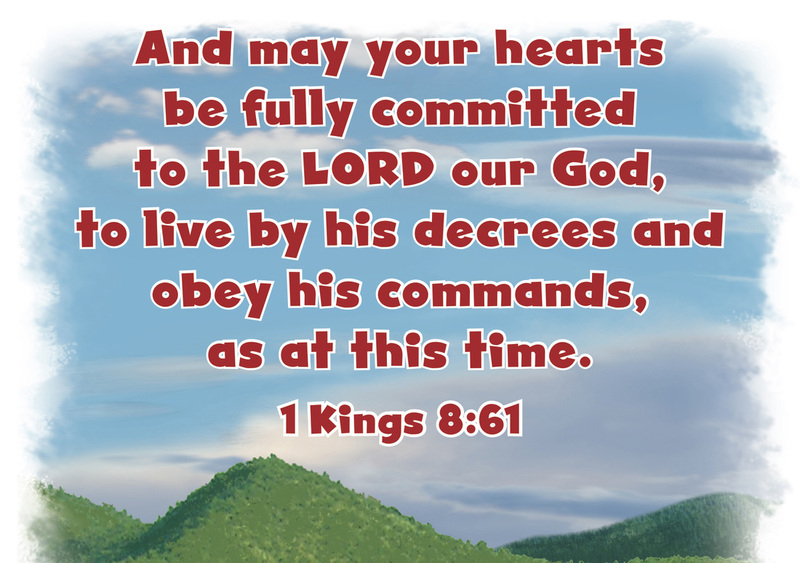 to God’s words and obey them, they would make bad decisions and face consequences for their sins. They would not be happy, healthy, or get along well with others! 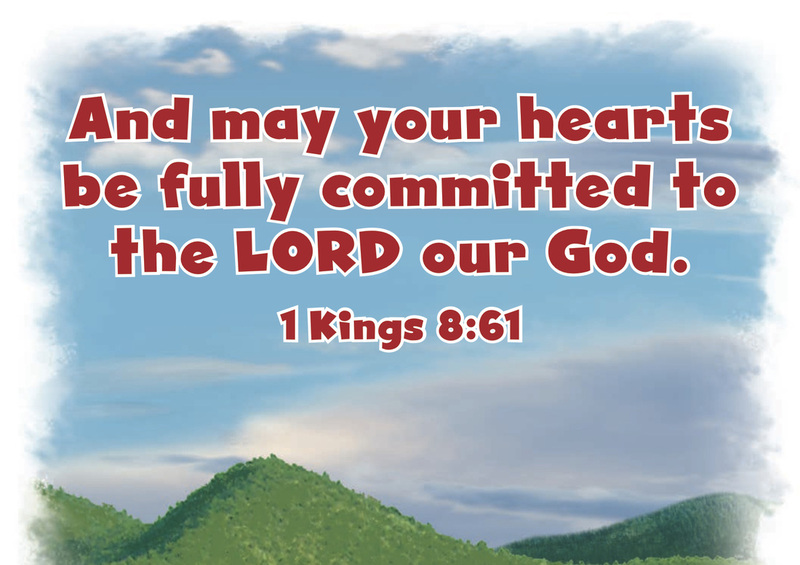 “Trust in God with all your heart,” Solomon wrote in Proverbs 3:5. But people do not always listen to God’s words. In the Book of Ecclesiastes, Solomon said that God made the world so that people would worship God and see how good God is. But all people do not obey and love God like they should. The most important thing, Solomon said, was to love and obey God. Solomon even wrote a poem. He taught that there is a time for everything: “a time to give birth and a time to die; a time to plant and a time to uproot; a time to kill and a time to heal; a time to tear down and a time to build; a time to weep and a time to laugh; a time to mourn and a time to dance” (Ecclesiastes 3:2-4).